Netflix began a greater push into anime licensing and production last year, and that has paid off well for the streaming service. So well, in fact, that the drive for more anime projects on the service has increased in 2019. Netflix has a bevy of new anime for fans to look forward to, and now they announced yet another interesting new project with a strong name attached. Netflix announced a brand new four episode anime series, titled EDEN, which will be streaming on the service globally in 2020. The best part? It will be directed by Yasuhiro Irie, who worked on both iterations of the Fullmetal Alchemist anime series. You can check out the teaser poster for the project below. 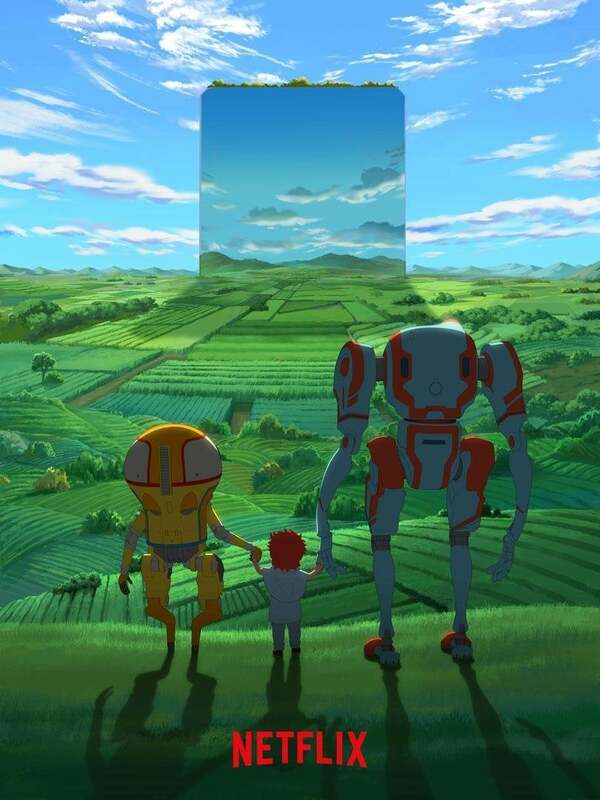 Netflix's EDEN will be directed by Yasuhiro Irie, who's been a part of many anime classics such as the two Fullmetal Alchemist series, Mobile Fighter G Gundam, Vision of Escaflowne, Soul Eater and Cowboy Bebop for Qubic Pictures and CGCG. According to the press release of the series, EDEN will be produced by Justin Leach with character and lead concept designs by Toshihiro Kawamoto (Cowboy Bebop, Space Dandy, Blood Blockade Battlefront) and Christophe Ferreira. Kimiko Ueno (Space Dandy, Little Witch Academia) will be handling the screenplay, Clover Xie will be serving as the background art director, and Kevin Penkin (Made in Abyss, The Rising of the Shield Hero) will be serving as music composer. As for the content of the series, EDEN is still very much shrouded in mystery but Netflix has shared a synopsis for the new project. Netflix describes the series as such, "The upcoming sci-fi fantasy series EDEN is set thousands of years in the future, where a city known as “Eden 3” is inhabited solely by robots whose former masters vanished a long time ago. On a routine assignment, two farming robots accidentally awaken a human baby girl from stasis questioning all they were taught to believe -- that humans were nothing more than a forbidden ancient myth. Together, the two robots secretly raise the child in a safe haven outside Eden."